California is in the process of implementing the Open and Transparent Water Data Act (AB 1755) to publish water and ecosystem information in an open data format. The Water Foundation, in partnership with other organizations, has launched the California Safe Drinking Water Data Challenge to provide stakeholders an opportunity to engage with the open data portal and submit feedback, advice, and suggestions for consideration as AB 1755 is implemented. We encourage our members to participate and provide valuable input on what data is needed to help identify and deploy drinking water solutions for small systems. For more information on this program, contact Susan Allen at susan@calmutuals.org or call us at (714) 449-8403. For complete information about the Challenge, click here. Senate Bill 555 requires all urban retail water suppliers in California to submit a validated water loss audit to the California Department of Water Resources. Last year, the validation requirement was fulfilled by the Water Loss Technical Assistance Program (Water Loss TAP), which was funded by the State. Have the validation completed by an individual certified by the CA-NV AWWA as a water audit validator. Any members requiring assistance in complying with SB 555, or if you have additional questions, please contact Denise@CalMutuals.org or call (714) 673-0005. 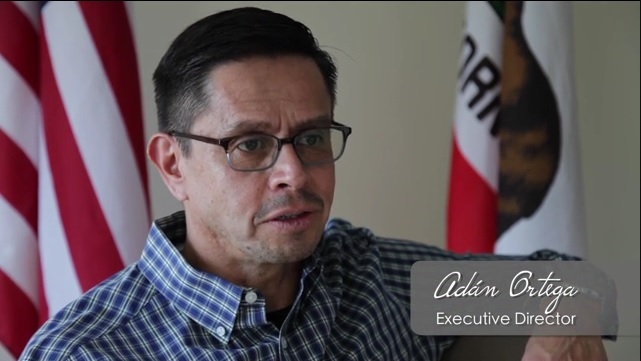 CalMutuals Executive Director, Adan Ortega, participated in a panel discussion during the Water Affordability Symposium on April 5th in Sacramento. The Symposium featured leading researchers and national experts on innovative affordability practices. Last year, the State Water Resources Control Board’s (State Board) adopted a maximum contaminant level (MCL) for 1,2,3-Trichloropropane (TCP) at 5 parts per trillion (ppt). On January 31, the State Board held a meeting to provide an overview of monitoring and testing requirements. For a complete list of requirements, please visit the Division of Drinking Water’s webpage by clicking here. Each individual source must be sampled – composite samples are not allowed. Testing waivers are handled by the local Drinking Water Office or Local Primacy Agency. To download a copy of the presentation, click here. The California-Nevada Section of the American Water Works Association (AWWA) has just announced several educational opportunities across the state. For the full listing of 2018-2019 courses (and to register for a workshop), click here. To sign up for this free e-learning course, click here. The State Water Resources Control Board (SWRCB) has issued a notice regarding the Public Water System Annual Fee, stating that provisions have been made to lower fees for public water systems that serve disadvantaged communities. The SWRCB outlined the criteria used in determining if a water system qualifies for the lower fee. To read the full notice, click here. The State Water Resources Control Board has just released the status of funding for Proposition 1 programs and we are happy to see mutual water companies listed as bond recipients. Mutual water companies have received over $2 million dollars in funding! Click here to read the funding report. One of the reasons the Association hosts workshops is to provide networking opportunities for our members. For example, as a result of last year’s workshop, Averydale Mutual Water Company (Lancaster) was able to access free technical assistance. To expand networking opportunities for our members, CalMutuals is excited to announce a new forum for sharing your concerns, issues, thoughts and resources — our Facebook page! Our goal is to create a conversation with our members to ensure they are able to connect, raise issues and share solutions. In addition, our articles will be posted to Facebook so that members can offer comments and feedback. We look forward to connecting with you on Facebook! Join the conversation now by clicking here. CalMutuals JPRIMA Workers’ Compensation customers now have access to an online solution center made possible through our partnership with Zenith Insurance Company. The Zenith Solution Center – a comprehensive risk management and safety resources website designed specifically for water systems – features access to online training programs, compliance tools, human resources management best practices, and more. To learn more about the benefits of obtaining workers’ compensation insurance through CalMutuals JPRIMA, please contact Christine Graves at 415.602.3972 or email her at cgraves@alliedpublicrisk.com. To download the step-by-step guide to all of your management and HR needs, click here. Already a customer? Click here to access the Zenith Website and click on “Log In” to access your account and/or sign-up. If you have any issues logging in, please contact us!